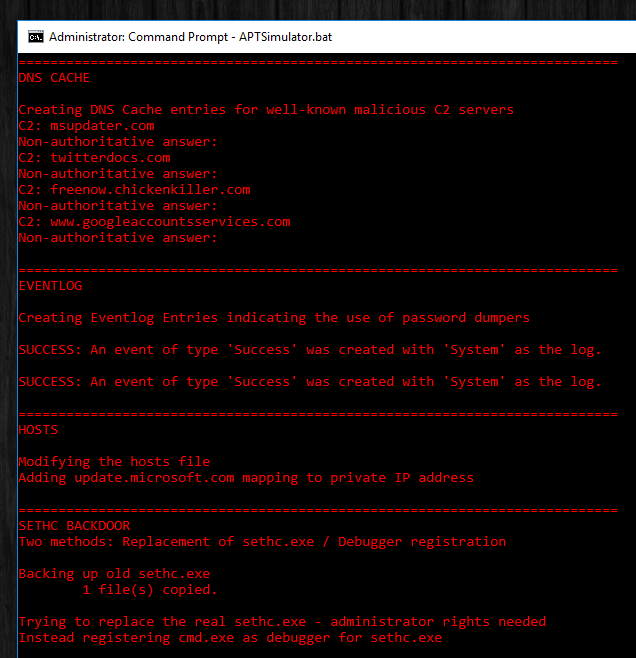 APT Simulator is a Windows Batch script that uses a set of tools and output files to make a system look as if it was compromised. Customers tested our scanners in a POC and sent us a complaint that our scanners didn't report on programs that they had installed on their test systems. They had installed an Nmap, dropped a PsExec.exe in the Downloads folder and placed on EICAR test virus on the user's Desktop. That was the moment when I decided to build a tool that simulates a real threat in a more appropriate way. 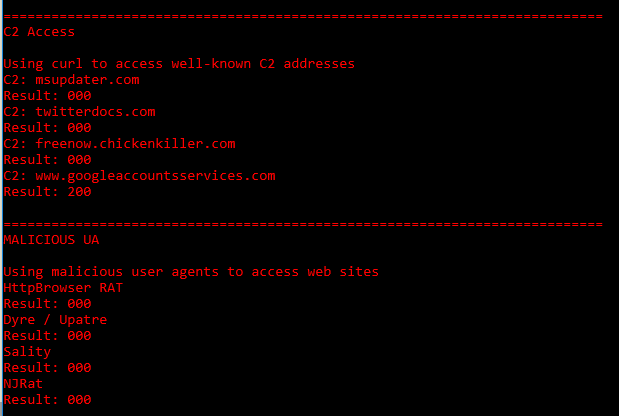 The focus of this tool is to simulate adversary activity, not malware. 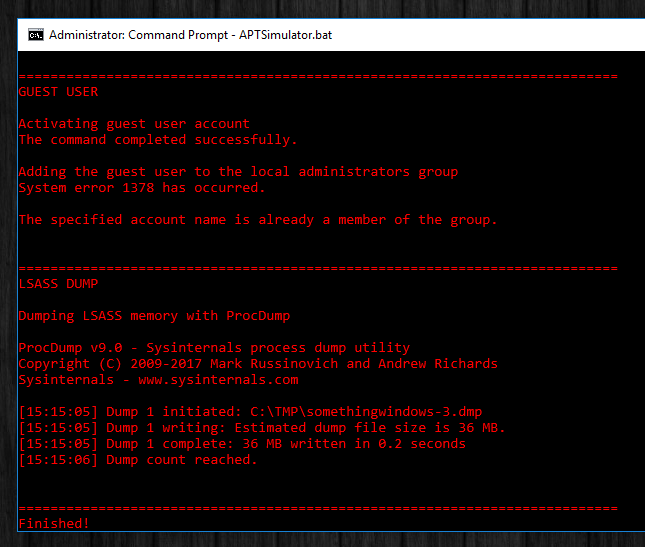 The batch script extracts the tools and shells from an encrypted 7z archive at runtime. Do not download the master repo using the "download as ZIP" button. Instead use the official release from the release section. If you script includes a tool, web shell, auxiliary or output file, place them in the folders ./toolset or ./workfiles. Running the build script build_pack.bat will include them in the encrypted archives enc-toolset.7z and enc-files.7z. This repo contains tools and executables that can harm your system's integrity and stability. Do only use them on non-productive test or demo systems.